While researching for the next gourmet club meet this afternoon, I came across the idea of using Oreo cookies to dress up a cocktail. I was so excited about the idea that I have to try it right away! 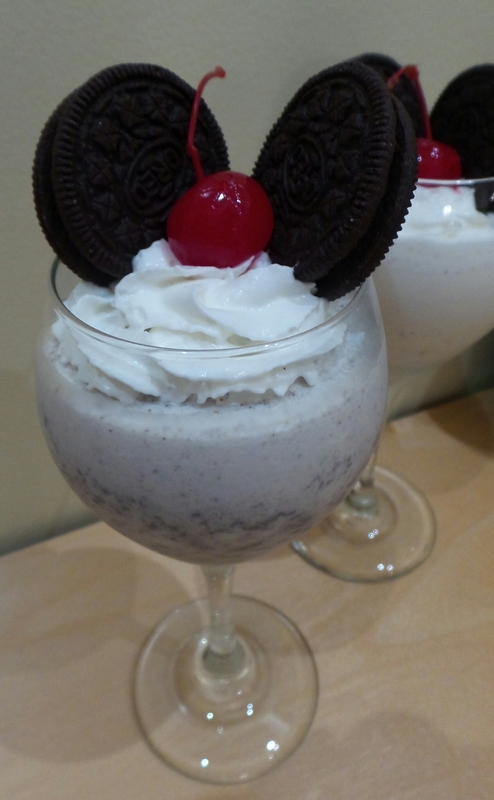 So here is my concoction of the Minnie Frosty-Shake…love it! Melt white chocolate in a double boiler. Add the sugar and half the heavy cream and stir until sugar is melted. Add the remaining heavy cream and milk and stir until blended. Remove from heat. Stir in the vanilla and vodka. Omit vodka for non-alcoholic version of this recipe. Cool completely and store in the refrigerator. This makes enough liqueur for 4 servings of Minnie Frosty – Shake. 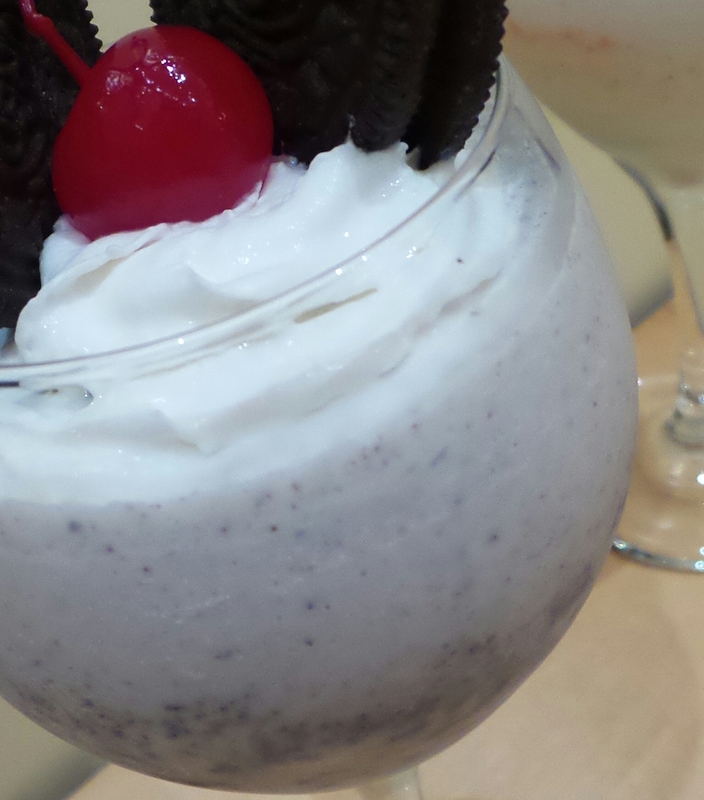 Add 4 oz of white chocolate liqueur, 4 scoops of ice cream, 2 oreo cookies, and crushed ice to the blender. Pulse until the mixture is blended. 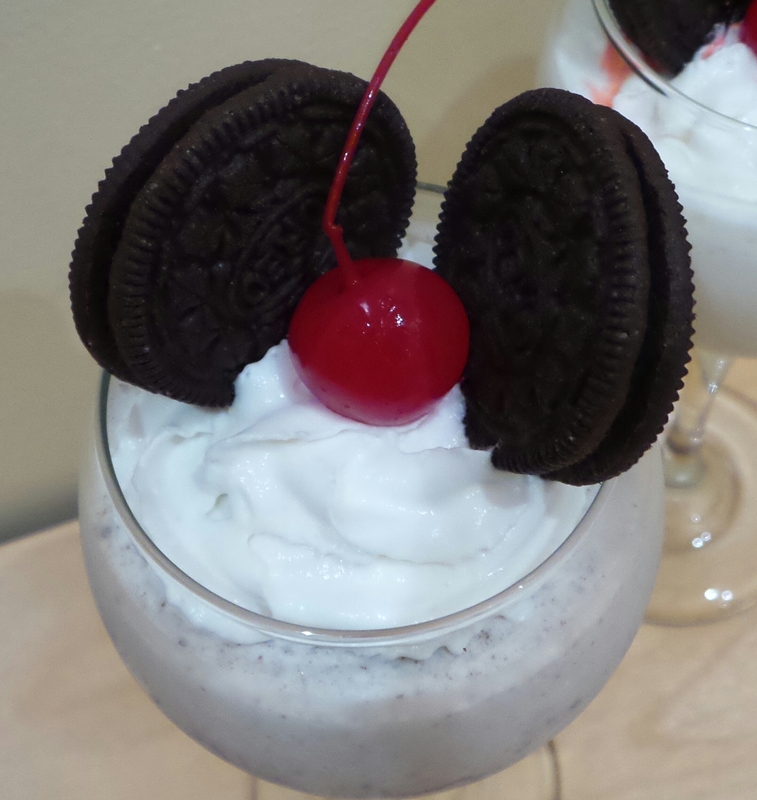 Arrange two oreo cookies and a maraschino cherry on the whipped topping.